Generate excitement in your students, Ultimate Bo will quickly become your students’ favorite class! Increase retention. Fresh training + more variety = less dropouts. Continue your own martial arts education. Broaden your own skill set as an instructor. Increase revenue and profit each month, easily add $1,000-$5,000 more a month to your income. 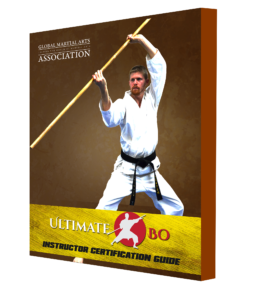 Enroll into Ultimate Bo as a student and begin training. You need to hold at least a blue chevron or above before you can take the instructor course. Next, enroll into the Certified Martial Arts Teacher course. This is our general martial arts teacher program that is a pre-requisite before you can specialize in Ultimate Bo instruction. After becoming a CMAT, you can then take the Ultimate Bo Instructor Course. After graduating, you can launch your own bo classes and be connected to the Global Martial Arts Association. A full live Ultimate Bo example class. Sensei Michael filmed a normal beginner class with warm up, traditional techniques, kata practice, and a skill game. This is a great model for you to learn from, in your own instructor training. The Instructor Guide is the perfect reference during your instructor studies. You can easily read the course materials within this .pdf. Ths guide also talks about the testing and instructor qualification process. As you go through the course, you can contact Sensei Michael for assistance via the Global Martial Arts University messaging system. You will need a GMAU student account in order to do this. If you meet the requirements (hold at least a blue chevron rank in Ultimate Bo), and are ready, you can take your instructor certification test. There is a fee of $125 for the testing process. First you will submit a progress check to Sensei Michael to receive comments and feedback. Next, you will submit your final video exam, which will include a practical teaching video, student proof video, written class plans, and a 2 page essay. Upon passing, we will mail you the official instructor certificate to display in your school, and you can launch your program! Do I have to be a black belt in order to purchase this course? 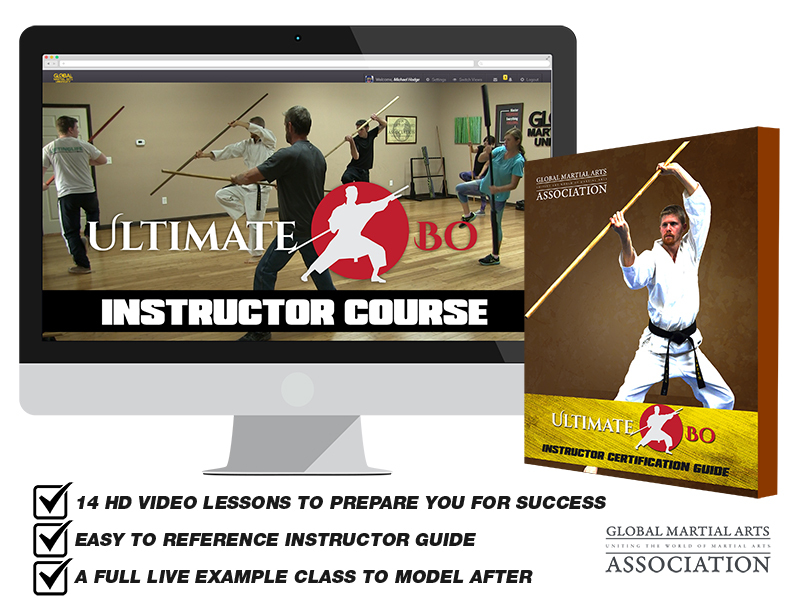 Anyone is welcome to purchase this Ultimate Bo Instructor Course. Of course, you would be more well-qualified to take this course if you are already a martial artist, with some experience. Does purchasing this course mean that I am certified automatically? No. The course is simply for informational and educational purposes. You will still need to follow instructor qualification process, which can be at home/online. This includes training as a student in the Global Martial Arts University Ultimate Bo program, so that you first master the material. 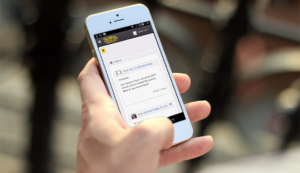 How long does it take to complete the instructor certification process? Well, you first need to be at least a blue chevron ranked student in Ultimate Bo, before you take the instructor exam. To reach blue chevron can take anywhere from 6-9 months in most cases, but it is a completely self-paced program. You will also need to enroll and complete the Certified Martial Arts Teacher course as a pre-requisite. If you are already a blue chevron or above, the actual instructor testing process only takes 1-2 months. Are there any monthly or yearly licensing fees? No! We charge no additional monthly or yearly fees to maintain your active instructor status with the GMAA. You will be required to have an active student membership with the Global Martial Arts University, to continue your own personal training, and be connected in to the growth and evolution of the style. But, there are no fees specifically tied to the business side of your school’s bo program. Can this instructor course and test be done online? How is that possible? We have been working with home study/online students for 10 years now, and have constantly improved our training systems, and raised our standards. This is not about giving our instructor certificates that are worthless. 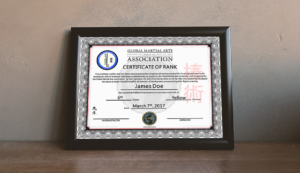 The Global Martial Arts Association has worked hard to build up and protect its reputation by always maintaining high quality standards of instruction, values, and actions. We have found that videos, messages, and good communication can allow for us to properly evaluate and train individuals to be outstanding martial artists, and instructors.